The Lesser Slave Lake Regional Forest Management Plan is a cooperative approach to planning that includes the many forest products operators of the Slave Lake region. These operators include Forest Management Agreement (FMA) holders and Timber Quota holders. FMA holders have the right to harvest timber within their assigned area, subject to Government of Alberta (GoA) approval of harvest plans, and are responsible for paying royalties and for reforestation. Timber Quota holders receive allocations of timber from within other operators' FMAs, but do not have the standing timber rights and management responsibilities that FMA holders have. Often, Timber Quota holders are smaller operators. In other cases, FMA holders will also operate on a quota outside of their FMA. This opportunity allows for increased efficiency and a better conservation of resources between coniferous and deciduous operators. Tolko is a western Canadian lumber company with divisions in Saskatchewan, Alberta, and British Columbia. Two of the Alberta divisions, High Prairie and Slave Lake (Athabasca) are members of the Lesser Slave Lake Regional Forest Management Plan. Vanderwell Contractors (1971) Ltd. is a family-run private Alberta company with a dimensional sawmill/planer mill complex in Slave Lake. The company has been in business for over 60 years and acquired its first timber berth in the Red Earth area in 1968. Following the acquisition of the tenure agreement with the GoA the company moved their operations to the current location in the Slave Lake area and incorporated in 1971. West Fraser Mills Ltd. is a North American diversified wood products company. Three West Fraser divisions are involved in the Lesser Slave Lake Regional Forest Management Plan: High Prairie Forest Products., Alberta Plywood, and Slave Lake Pulp. 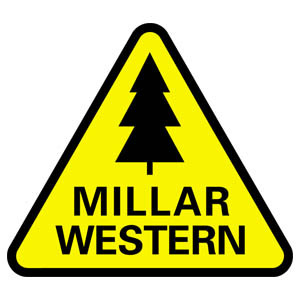 Millar Western Forest Products Ltd. is a privately held forest products company that has been in business for more than a century, with manufacturing facilities in Whitecourt and Fox Creek. Roger Marcoux 1104384 Alberta Ltd. Various timber permits for local community operators and small timber operators are managed by the Government of Alberta.